The Perks of Mulching: Put the finishing touch on your outdoor masterpiece! As we kick off our early season Mulch Madness Sale, it seems appropriate to discuss a few tips on mulching. 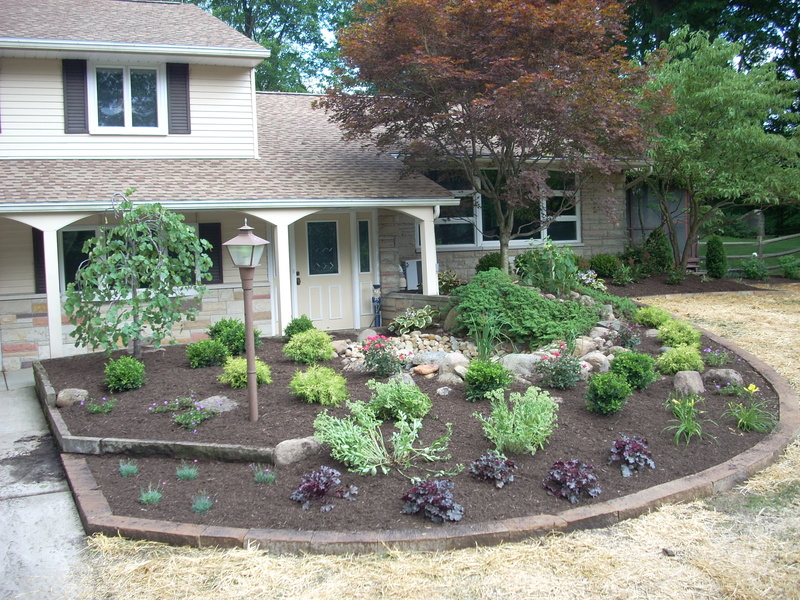 Many homeowners edge and mulch their landscape beds to give their home a finished, well-manicured appearance, however, the benefits of mulching are far greater than aesthetic. Regular mulching helps to conserve moisture, protects plant roots by maintaining a more even soil temperature, prevents compaction from heavy rains and reduces erosion especially on sloped beds. Mulching with sweet peet® (this is not misspelled, it is the brand name) or straw can eliminate muddy rows in the vegetable garden while protecting low hanging vegetables and then can be incorporated into the soil as a soil amendment in late fall after harvest. 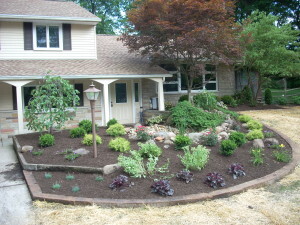 Mulching can be done any time during the growing season beginning in early spring through fall. 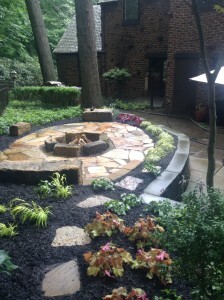 The most common time is spring, however, it is more about the preferences of the gardener. If weed prevention is most important to you, then early spring is best before weeds begin to emerge. 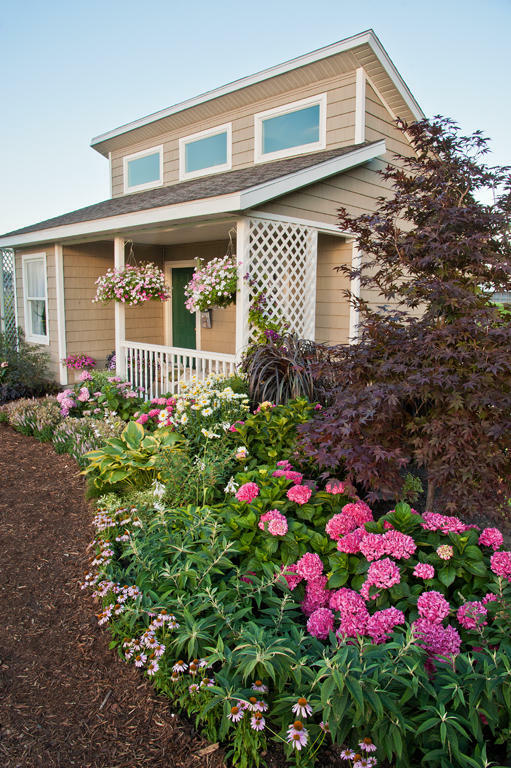 If you are planting annuals or perennials in the beds you may want to wait until after you are done planting to make digging a little easier. At Graf’s, you can choose from a natural double shredded hardwood mulch, a black dyed mulch, or a natural compost mix called Sweet Peet®. In addition, we carry a wide variety of mulches in bags which include pine bark mulch and nuggets as well as cypress and red dyed mulch. Once again, this is largely a matter of preference. 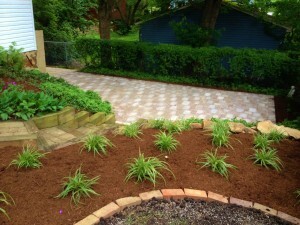 Natural mulches tend to fade a bit, however, their benefit is that they are all natural with no additives. 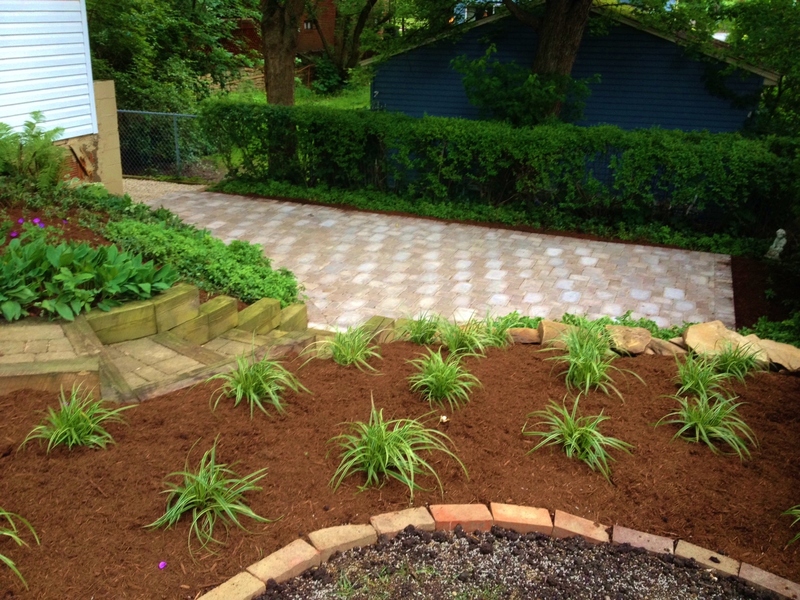 Dyed mulches tend to stay true to color longer. Pine Bark Nuggets, which are chunks rather than shredded, are frequently used in paths. Sweet Peet is made of vegetative and animal waste composted and blended with finely ground wood which provides some nutrition to the plants as well. It has a very fine texture which can be used as a mulch or soil amendment. 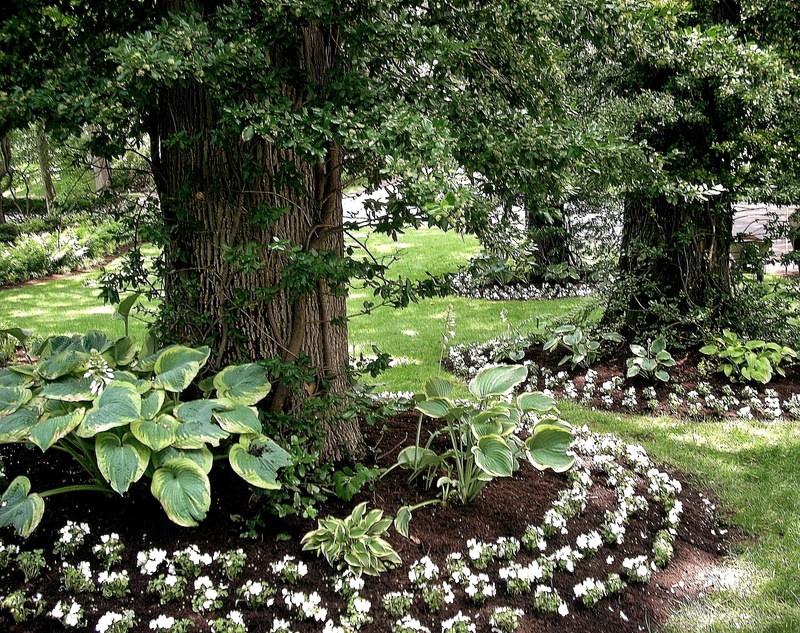 If you are mulching for the first time, it is recommended that the mulch is 2” – 3” deep to cover the soil. If you mulch every year, we recommend that you add 1” – 2” each year as needed to avoid a major mulch build-up over the years. 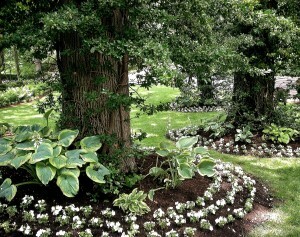 If you to choose to use sweet peet® for mulching it is recommended to mulch 1” deep. 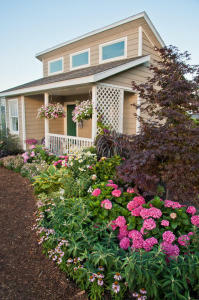 To determine the amount of mulch needed, measure the flower beds length and width. Don’t worry about rounded or kidney shaped beds, just try to get the majority of the length and width of area. Multiply length x width to determine the square footage and then use this guide to determine the quantity needed. 1 cu. 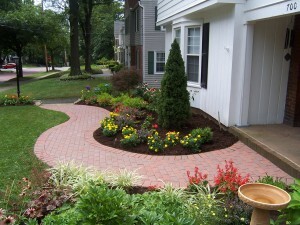 yard of mulch covers around 300 square feet 1” deep or 150 square feet 2” deep. For example: If you are covering an area that is 8’ x 18’ that equals 144 square feet. 1 cubic yard of mulch would cover this area 2” deep. If math is not your thing, just call us with your square footage and we’ll help you determine your needs. One last tip … As we drive through neighborhoods, we will frequently notice that mulch will be built up around trees tree trunks 12” or higher. While this looks nice, it is extremely detrimental to trees. It is smothering them as well as creating a place for damaging rodents and insects to harbor. Instead, mulch up to the base of the tree where the roots meet the trunk. 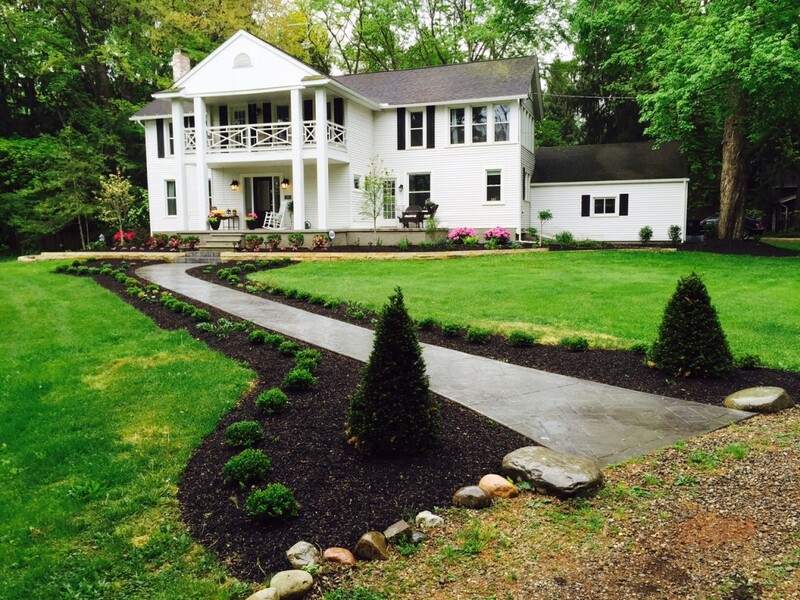 Mulch Madness is an opportunity for you to get your mulching done early while saving. Call to schedule your delivery or stop in to learn more. Mulch seems to have a ton of benefits. I’ve never really used it before, but I think I need to now. It’s great that it can reduce erosion, especially because our gardens are all on a slight slope.